Are you a fan of MasterChef Junior? Then you’ll absolutely love “The Mazzy Show” on YouTube. Not only is it a cooking show, but it’s a cooking show with a youngster — two-year-old Mazzy, to be specific. She makes some stellar creations, and she’s totally adorable every step of the way. The channel was created by Mazzy’s dad, Alex, who wanted to start having a presence on YouTube. And as a brand new stay-at-home dad, he figured that having Mazzy as the star would definitely help the two of them bond. "I decided that I would do it with Mazzy as a way to bond with her and keep her engaged in hands-on activities," he said in an interview with Mashable. First, her debut video, in which she makes one of our ultimate favorite foods — pizza. We like the fact that she puts a ton of cheese on each pizza. This girl gets us, for sure. She topped it the next week, by making gyoza. 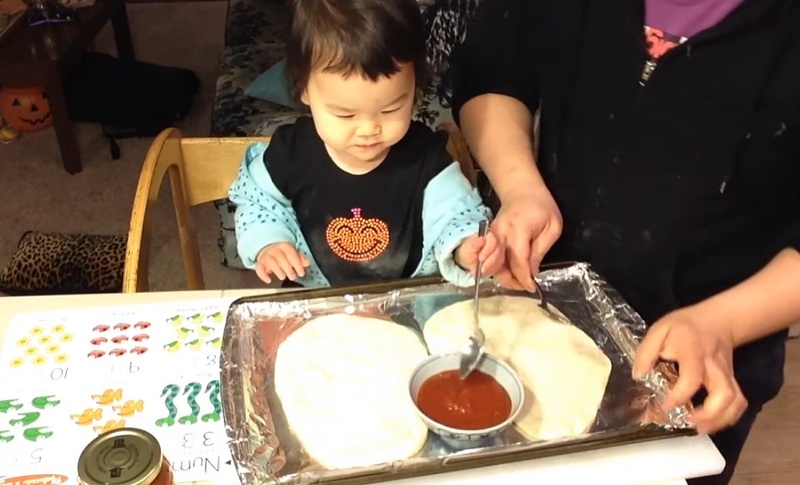 We’re also digging this video of Mazzy making nachos, for two reasons. The first reason: Nachos. The second? Well, the intro of her and her family is one of the cutest things in the entire world. Having a bad day? 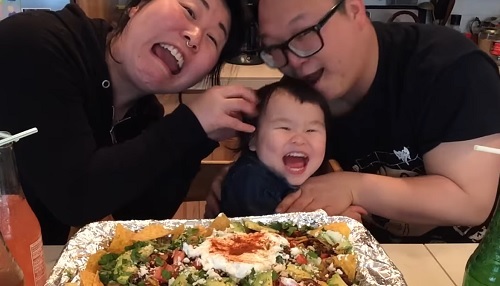 Look how happy this 2-year-old is to simply be in the presence of her mom, dad, and freshly-made nachos. Oh, and the “hard rock” music definitely made us crack up, as did the image of seeing the little girl rock out on the piano while waiting for that cheese to melt. Also melting? Our hearts. We can’t wait to see what other foods Mazzy decides to make in the future. This may be the start of a beautiful culinary career.